Meizu has unveiled its latest range of smartphones - Meizu 15, Meizu 15 Plus, and Meizu 15 Lite - on Sunday in China. In the recent wake of smartphones with edge-to-edge displays, all three variants in the Meizu 15 range, interestingly, sport displays with a 16:9 aspect ratio, instead of the new 18:9 panels. Key highlights of the variants include USB Type-C port on all three models, and a vertical dual camera setup on the Meizu 15 and Meizu 15 Plus. Meizu 15, 15 Plus, 15 Lite price, release date Maize 15 price in China has been set at CNY 2,499 (roughly Rs. 26,300) for the 4GB RAM/ 64GB inbuilt storage variant, and CNY 2,799 (roughly Rs. 29,400) for the 4GB RAM/ 128GB onboard storage version. On the other hand, the Meizu 15 Plus has been priced at CNY 2,999 (roughly Rs. 31,500) for the 6GB RAM/ 64GB onboard storage variant, and CNY 3,299 (roughly Rs. 34,700) for 6GB RAM/ 128GB inbuilt storage model. The two variants will be available in China starting April 29, followed by availability in other international markets. Meizu 15 Lite price has been set at CNY 1,699 for the 4GB RAM/ 64GB inbuilt storage variant. The variant is said to be not be made available in China. Meizu 15 specifications The Meizu 15 runs the custom Flyme 7 OS on top of Android out-of-the-box. The phone sports a 5.46-inch full-HD (1080x1920 pixels) Super AMOLED display with a 16:9 aspect ratio. It is powered by a Qualcomm Snapdragon 660 SoC, coupled with an Adreno 512 GPU and 4GB of RAM. In terms of optics, the Meizu 15 bears a dual rear camera setup with a 12-megapixel primary sensor (Sony IMX380) and a 20-megapixel secondary sensor (Sony IMX350) with f/1.8 aperture, PDAF, laser autofocus, and face tracing. On the front, the handset gets a single 20-megapixel selfie camera with f/2.0 aperture and face recognition. There is 64GB/ 128GB of inbuilt storage, and comes with a 3000mAh battery under the hood. Connectivity options include 4G LTE, dual-band Wi-Fi 802.11ac, Bluetooth 4.2, GPS, GLONASS, a 3.5mm headphone jack, and USB Type-C. Sensors onboard the Meizu 15 include accelerometer, ambient light sensor, barometer, digital compass, gravity sensor, hall sensor, and proximity sensor. Dimensions of the handset are 143x72x7.25mm and it weighs 152 grams. 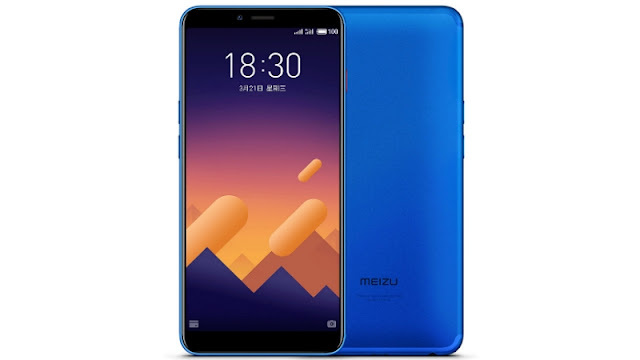 Meizu 15 Plus specifications The Meizu 15 Plus runs the same Flyme OS, and sports a 5.95-inch Quad-HD (1440x2560 pixels) Super AMOLED display with a 16:9 aspect ratio. The handset is powered by an octa-core Samsung Exynos 8895 SoC, paired with 6GB of RAM and a Mali-G71 GPU. As for camera specifications, the Meizu 15 Plus sports the same 12-megapixel + 20-megapixel dual rear camera combo. Even the 20-megapixel front camera is the same as the Meizu 15, with f/2.0 aperture, AI beauty features, and face unlock recognition. There is 64GB inbuilt storage on the standard variant, and 128GB storage on the premium model. Finally, it has a larger 3500mAh battery powering the internals from under the hood. 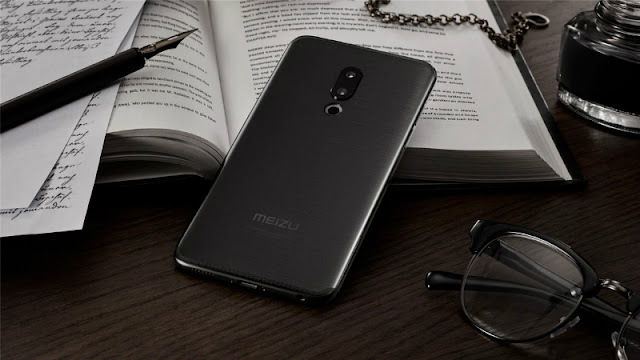 In terms of connectivity, the Meizu 15 Plus has support for 4G LTE, Wi-Fi 802.11ac (dual-band), Bluetooth 4.2, GPS, GLONASS, 3.5mm port, and USB Type-C. As for sensors, the phone gets an accelerometer, ambient light sensor, barometer, digital compass, gravity sensor, hall sensor, and a proximity sensor. Dimensions of the handset are 153.8x78.25x7.25mm and weight is 177 grams. Meizu 15 Lite specifications The Meizu 15 Lite sports a 5.46-inch LCD display with a similar aspect ratio. It is powered by a Qualcomm Snapdragon 626 SoC, coupled with 4GB of RAM and 64GB inbuilt storage. In terms of optics, the smartphone has a single 12-megapixel with an f/1.9 aperture, and a single 20-megapixel front camera for selfies and video calling. There is a 3000mAh battery inside, with an 18W mCharge compatible charger bundled with the Meizu 15 Lite. Meizu has finally announced the long-rumoured Meizu E3 smartphone in China today. The smartphone is aimed at competing with Redmi Note 5 smartphone from Xiaomi which was recently launched in China at an affordable price. The Meizu E3 packs similar specifications as the Redmi Note 5 (Note 5 Pro in India). Meizu has been teasing several smartphones for the Indian market, but the company did not launch anything for now due to logistics issues. The same applies to the Meizu E3 as well as it may not head to the Indian market anytime soon. The Meizu E3 sports metal unibody design with 2.5D curved glass on the front. The device will be available in three colour options- Gold, Black and Blue. The Blue colour variant is looking excellent in the press renders. To the front, the Meizu E3 has a 5.99-inch 18:9 display sporting a resolution of 2160 x 1080 pixels. As seen with the Redmi Note 5, the Meizu E3 is also powered by the Snapdragon 636 SoC, which is the best mid-range chipset available next to Snapdragon 660 SoC. The phone comes with 6GB of RAM with storage configuration varying between 64GB and 128GB. Meizu did not reveal any 4GB RAM option for the Meizu E3 though. This is where Xiaomi scores a point as it launched the Redmi Note 5 with 3GB, 4GB and 6GB of RAM. There’s a microSD card slot as well for storage expansion up to 256GB. The Meizu E3 also sports a dual camera setup at the back like the Redmi Note 5. There’s a 20MP primary sensor at the back, which is paired with a 12MP secondary sensor. Both the sensors are Sony made ones. Meizu also said that the camera lens is made out of Sapphire. The secondary sensor carries telephoto lens offering 2.5X lossless zoom. The Meizu E3 also comes with a Portrait mode to capture images with bokeh effect. A 16MP front-facing camera is present on the front. The fingerprint scanner is placed inside the power button, which is located on the right side of the phone. Meizu must have impressed with Sony’s power-button fingerprint scanner placement. The device is backed by a 3360mAh battery along with support for fast charging. The phone also ships with a 20W charger inside the box. The Meizu E3 runs Android 7.1.2 Nougat based Flyme OS 7 out of the box and supports mobile payments through Alipay. As stated, the Meizu E3 comes with 6GB of RAM and 64GB of internal storage which is priced at 1799 Yuan (approx Rs 18,480), whereas the premium 6GB of RAM and 128GB storage option costs 1999 Yuan (approx Rs 20,530). The Meizu E3 is slightly on the steeper side when compared to the Redmi Note 5 in China as it starts from 999 Yuan. Nonetheless, the camera configuration is different on the E3 and a better selfie camera.